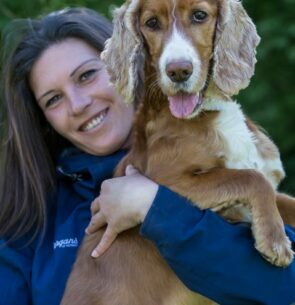 Catja is an avid clicker trainer who runs dog training business Canis Silkeborg and is passionate about spreading the word of clicker training. Shaping, off-cue behaviors, doggie-zen and providing choice to the learner are some of her core topics. The learners she works with are mainly dogs and their owners, although as a mother she does quite a lot of training with her son to. Catja gives seminars online and workshops both in Denmark and internationally. She has competed succesfully in the highest level of obedience, tracking and search and rescue, and has also been working with drug detection. Always eager to learn more, Catja tries her very best to take part in all kind of workshops, seminars and conferences that has anything to do with behavior analysis. The community of training and behavior analysis is her favorite place to be.